Coop Italia and Nordiconad say they cannot differentiate between goods coming from settlements and inside the Green Line. Two Italian supermarkets have announced that they plan to stop selling all Israeli products as they could not differentiate whether they came from West Bank settlements or inside the Green Line. Italian grocery chains Coop and Nordiconad will remove all Israeli products from their shelves by the end of the month, according to the Stop Camel-Agrexco Web site - an Italian based coalition dedicated to the boycott of one of Israel's top agricultural exporters. Grocery chain Coop Italia issued a statement saying that they had a problem with "traceability, namely that the consumer is unable to verify whether or not the product in question comes from the occupied territories." The Coalition Web site added that this was "an important success for the Boycott Divestment and Sanctions (BDS) movement against Israeli apartheid." According to the Web site, the campaign to lobby Italian supermarkets was launched in January this year and has since been coordinated in both Italy and France. The statement added that the coalition "has vowed to make sure that both chains follow through on their promises, and encourages everyone to participate in this struggle for respect for international law, and freedom and self-determination for the Palestinian people." 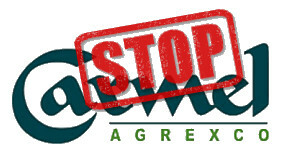 The Italian supermarket lobbying campaign was launched in January this year after a national meeting of the Stop Agrexco coalition in Savona, where Agrexco ships dock for distribution in Italy. Efforts are being coordinated with similar movements in Europe, including the Coalition Contre Agrexco in France, which unites more than 90 groups with the common goal of opposing plans to base the Israeli company at the port of Sete (Languedoc-Roussillon). 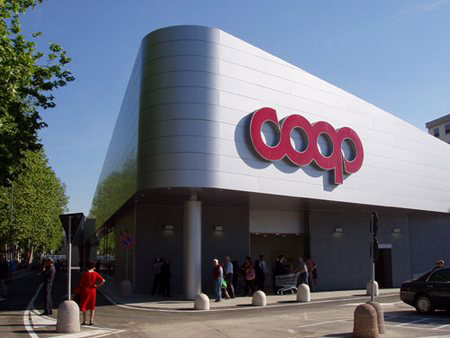 In Italy, COOP and Conad members and customers, as well as groups active in the Stop Agrexco campaign, began sending letters of protest to COOP’s consumer magazines demanding they suspend sales of goods produced in settlements in the occupied territories. The initiative was then extended to CONAD and the campaign culminated on March 30, Palestinian Land Day and Global BDS Day, with coordinated protests, sit-ins and awareness raising initiatives in supermarkets in several Italian cities. Following these actions, correspondence was initiated with COOP and CONAD management, which then led to direct contact and meetings with the Stop Agrexco Coalition, during which representatives of the coalition provided additional documentation concerning the illegalities involved in the trade of settlement products as well as violations of international law and human rights in Palestine characterized by the production of settlement goods. The results obtained thanks to the efforts of responsible consumers, COOP and Conad members and Stop Agrexco activists are undoubtedly positive. However, the Stop Agrexco coalition has vowed to make sure that both chains follow through on their promises, and encourages everyone to participate in this struggle for respect for international law, and freedom and self-determination for the Palestinian people. Agrexco Agricultural Export Company Ltd. is the largest exporter of Israeli agricultural produce and distributes 60-70% of fruit, vegetables, flowers and herbs produced in the Israeli settlements illegally built on Palestinian land. 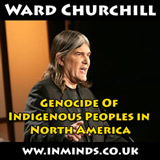 The company was founded in 1956 and is 50% government owned. Agrexco has roughly 500 employees with offices in Europe, Japan and the US. In 2008, the Israeli Finance Ministry announced a decision to privatize the company, however privatization has not yet been initiated. During a trial held in England in 2004, the general manager of Agrexco UK, Amos Orr, testified that Agrexco exports 60-70% of all produce coming from the Israeli settlements. The company’s web site, in fact, advertises figs from Masuah, an Israeli settlement in the Jordan Valley. Settlement products together with products from Israel are marketed under the brand name “Carmel.” Some 80% of Agrexco produce is exported and sold in Europe, primarily in Great Britain. In the summer of 2009, Italy began playing a role in the distribution of products from the illegal settlements, providing one of the two major European ports where Agrexco ships dock, the port of Vado Ligure, near Savona (Genoa). In 2005, Palestinian civil society put together a unified proposal for international solidarity movements: determine ways to boycott Israeli products, divestment from Israeli businesses, place sanctions on Israel, and boycott Israeli cultural and academic institutions that cooperate with, or fail to take a stand against, the occupation or the apartheid system. These demands were formulated in the BDS campaign (www.bdsmovement.org). 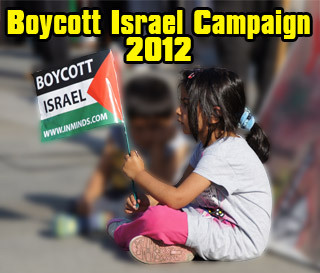 The BDS movement has already chalked up a number of successes (for example, against companies such as Veolia, Africa-Israel and Motorola) and has gained endorsements from civil society, academic, labor and governmental organizations around the world, Israel included. The very same trade unions representing the Palestinian workers exploited as cheap labor in the Israeli settlement plantations are among the promoters of the BDS campaign.